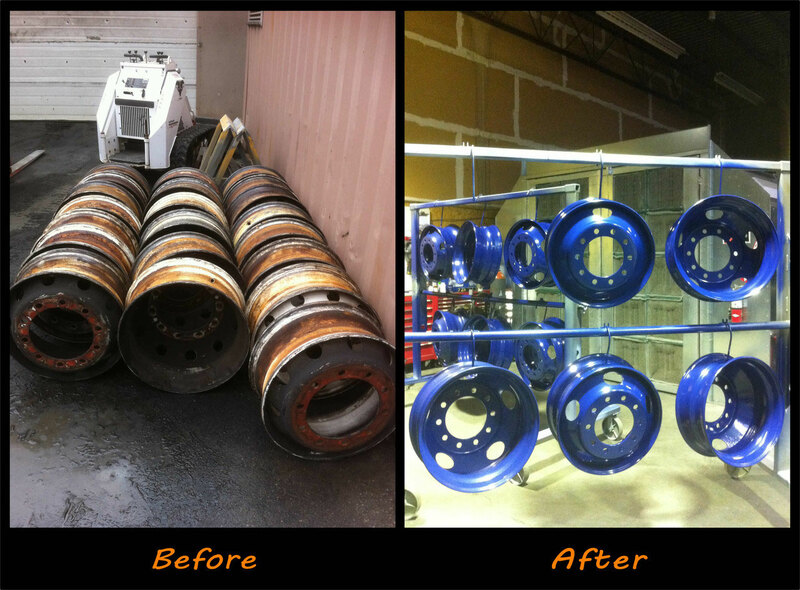 Our goal is to deliver a quality product at a reasonable price with a quick return time to satisfy our customers. 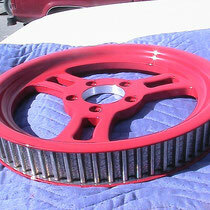 Powder Coating is a finishing process unlike solvent or liquid painting in that dry powder is applied and oven cured. 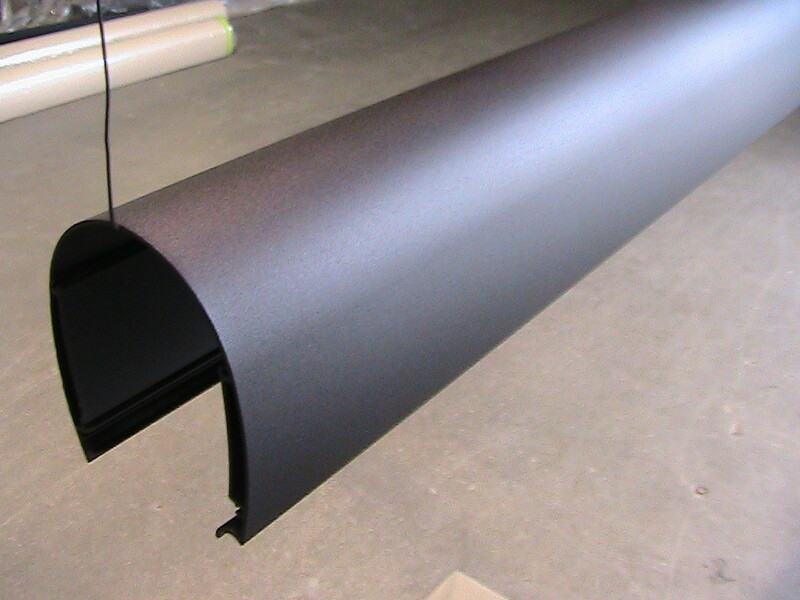 The result is an uniform and durable finish with excellent bond to bare material. 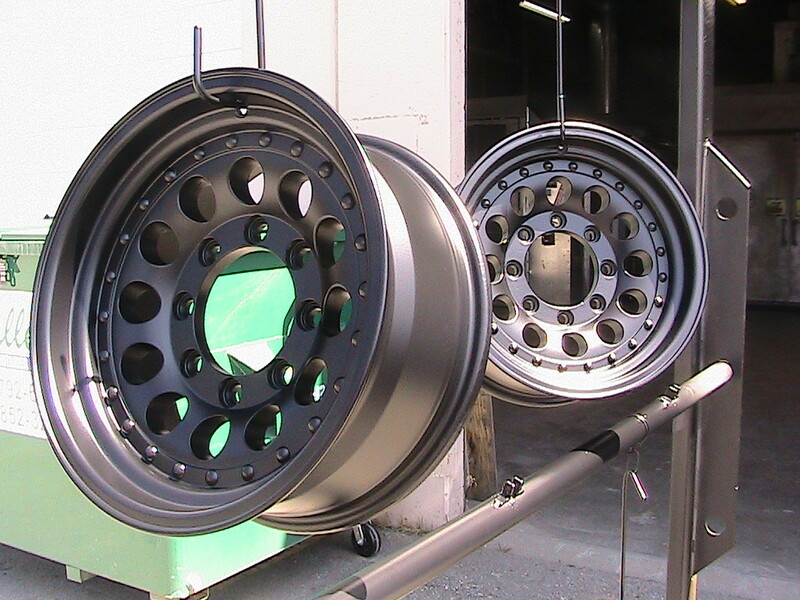 Powder coatings are exceptionally tough and impact resistant, yet can be flexible. 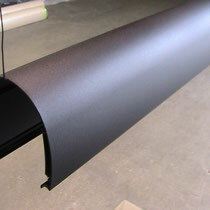 We carry over 50 colors of different textures and gloss levels. 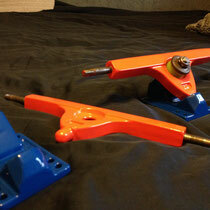 Although, custom colors can be ordered upon request. Our cureing oven has an 8x8 Foot door, and is 18 feet long. 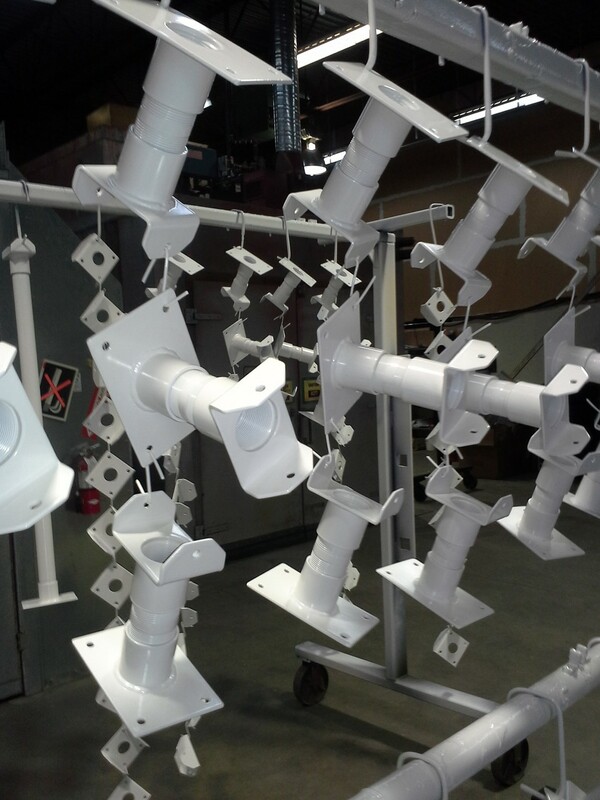 If it fits, we will powdercoat it! 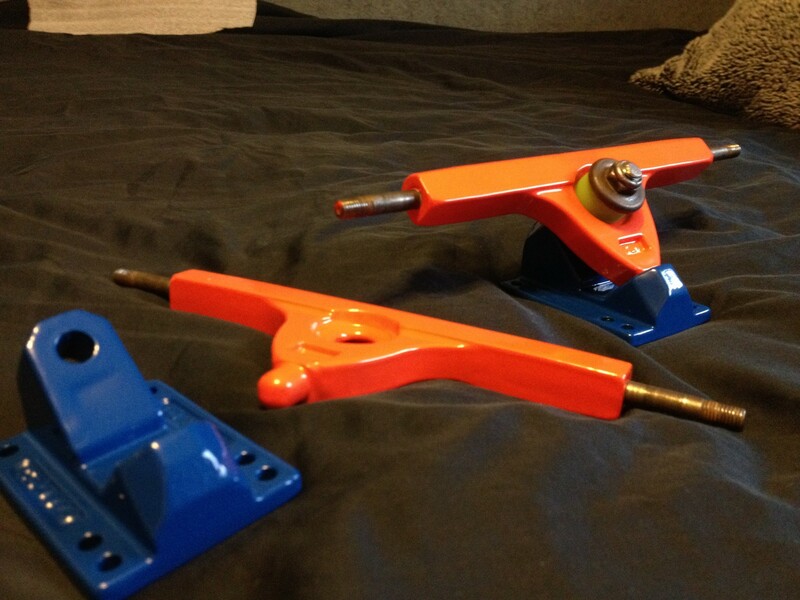 Full car and truck frames are not a problem, in fact we have done multiple frames for local hotrod builders, and car show enthusists. 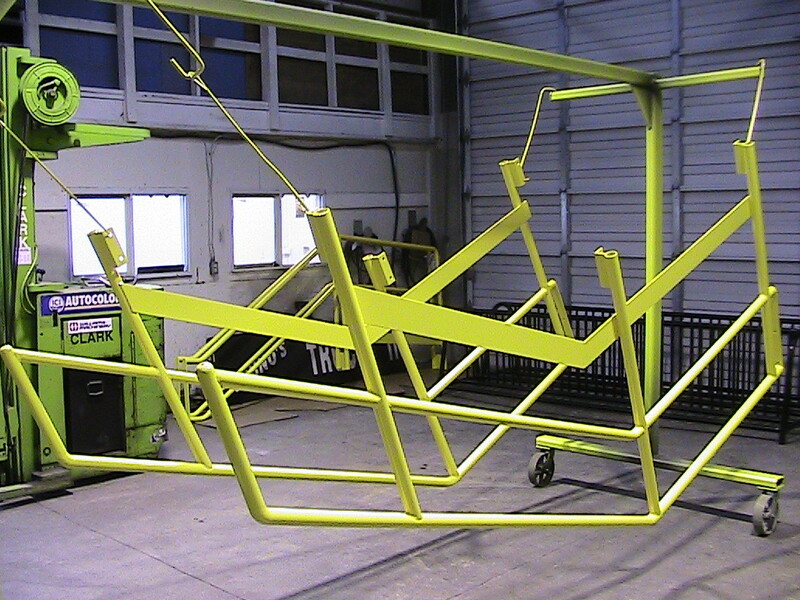 Powder Coating has a more durable advantage then regular paint, lasting 5-10 times longer. 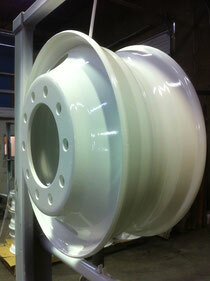 When the coating has been sprayed on the part it is then baked in an oven at a high temperature. 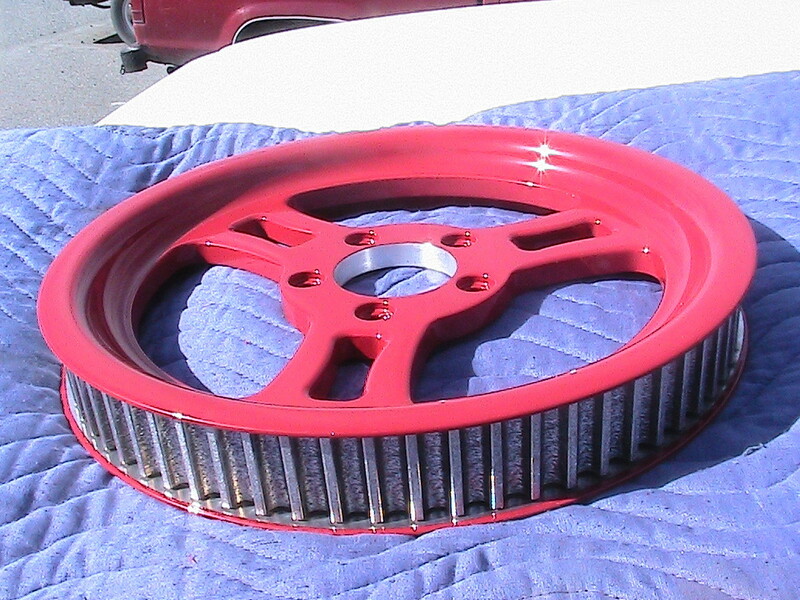 The powder melts and creates a strong plastic like layer over the entire part sealing it from moisture and preventing rust! 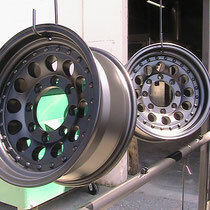 The powder used in the process is environmentally friendly and safe. 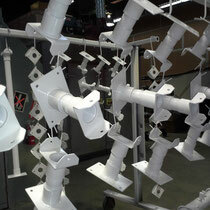 No VOC's are emitted unlike traditional paint. 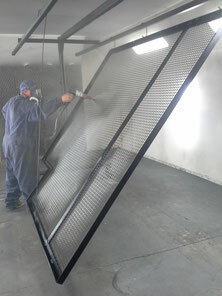 See our What is Powdercoating page for more information. 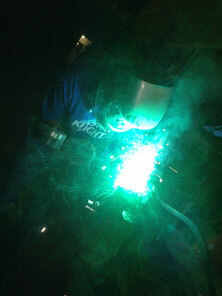 We also offer custom fabrication includng steel and aluminium welding. Proflow Powdercoaters Ltd, is your one stop shop from raw material to finished, powdercoated product. 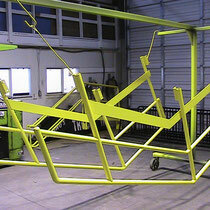 If its a custom headcache rack, gates, steel bins, miscellaneous brackets, or anything, just bring in drawings or ideas and we can make it happen.